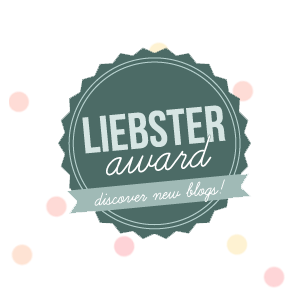 What Kay Does...: Liebster Award! Hey lovelies! Today I was tagged by Holley Marie at Holley Marie to be part of the Liebster Award. I didn't really know what this was, but after reading her post (check it out here) I found out that it's a great tag that supports starter bloggers (with under 200 followers) to get themselves and others noticed, and helps you to get to know a little more about the blogger. 1) WHAT WAS THE LAST ITEM YOU BOUGHT? I may have had a little purchase on the Illamasqua sale. I mean, I got 2 lipsticks, a lipgloss and an eyeshadow for under £30? I couldn't refuse. 2) WHY DID YOU WANT TO START BLOGGING? I have been reading beauty and fashion blogs for a long time now and I've always wanted to get into it. 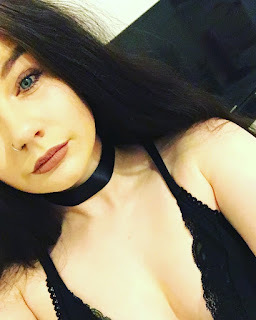 I have just finished my university course and thought there was no better time to start, as before I was far too stressed to even think about it. I just wanted to be able to be a part of it, being able to help some people in their choices or to try save people some money if some products haven't lived up to expectations. 3) IF YOU COULD HAVE ANY CAREER WHAT WOULD IT BE? This is a difficult question - as it's my daily struggle at the minute. What do I want to do with my life?! I really have no idea. I'd love to do something creative, like photography or something within beauty or within a magazine. I did a degree in Geography and I obviously like walking and being outside in the cold and getting muddy but I'm just not sure what I'd like to do regarding that. 4) WHATS THE SCARIEST THING YOU HAVE DONE? I'm a bit of a wimp so I honestly don't think I have one. How bad is that? I'm terrified of heights so I may have to try force myself into something like a bungee jump. 5) WHAT ACHIEVEMENT ARE YOU MOST PROUD OF? I know it might not sound like a big deal but I am proud of my degree. I had a really hard time at university, I wasn't very happy at some points and on occasion I really wanted to just give up and quit. I knew I could do it deep down and so I stuck with it. Things got better in third year because of option choices it was more focused on what I enjoyed and I really did like studying - minus the dreaded dissertation (made me far too stressed). 6) WHAT IS BETTER MONEY OR LOVE? Definitely love, no questions asked. You can have all the money in the world, but without anyone to love I can imagine it would get lonely. Personally, I find that love makes you so much happier as a person and much more appreciative of others. 7) HAVE YOU EVER CRIED BECAUSE OF A FILM, BOOK OR TV SHOW? IF SO WHAT WAS IT? Yes I have! Well I'm going to sound like a loser but I obviously cried through Harry Potter - I mean sirius?! And dobby! Wow I was in tears. I've also cried at One Tree Hill, and Vampire Diaries. And recently I've been in floods of tears at The Fault in Our Stars. I was upset by the book but the film really got to me. 8) WHICH COUNTRY WOULD YOU MOST LIKE TO VISIT? Definitely America I think, I've never been! I feel like I'm really missing out. I'd love to go to New York, California and Las Vegas and just do a road trip around the states and just explore. 9) WHAT IS YOUR FAVOURITE ALL TIME SKINCARE, MAKEUP ITEAM AND HAIR PRODUCT? Skincare - I love a good cleanser. It would have to be Liz Earle's Hot Cloth Cleanser or Lush's Ultrabland. They make my face feel extremely clean and don't dry out my skin. Makeup - I'd definitely say a mascara. On those days where I'm running errands I'll stick a bit of mascara on and it just makes me look more alive. Hair - I'm not really big on hair products. I'd probably have to go for my tangle teezer combined with the Aussie Haircare Products as they always leave my hair smelling delicious and feeling nourished. 10) WHAT MUSIC DO YOU LIKE? NAME AN ARTIST OR A BAND? I like all types of music - I'm especially loving Ed Sheeran's album at the minute. I'm a big fan of Fall Out Boy, Jamie T, Arctic Monkeys and usually some chart stuff as well. 11) WHAT WAS THE LAST THING YOU LEARNED? To never take anything for granted. I've been having boyfriend troubles lately and well, sometimes couples get into that situation where they're just kind of comfortable with each other and never expect anything to go wrong. Well it did - and it made me realise that I can't take people for granted as I may lose them. 2. What was the last product you bought, that you were really really impressed with? 3. What is your favourite book, film and TV series? 4. What are three things you cannot live without? 5. What does a normal day in your life consist of? 6. 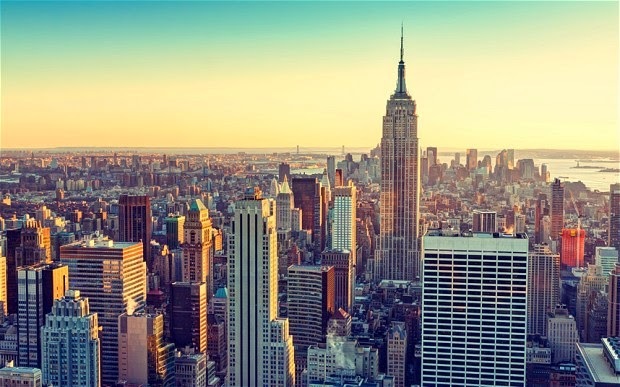 What are the top five places you want to visit and why? 7. If you could meet anyone, dead or alive, who would it be? 9. What's your favourite season of the year? 10. If money wasn't an object, what would you do all day? 11. If you could learn to do anything, what would it be? I always like reading these. Shows how nice the blogging community really is :) Nice post!